Each month Hilson Moran profiles one of its staff in our news section. 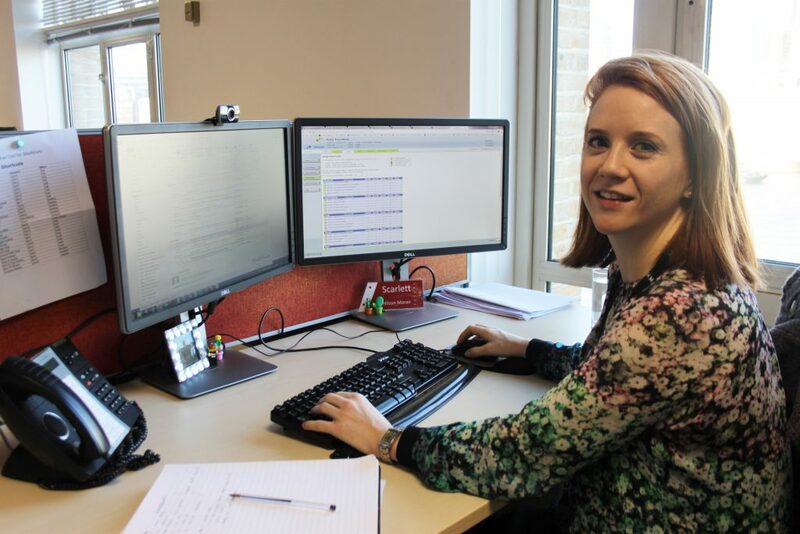 This month is the turn of Allison Jones, Principal Electrical Design Engineer. My day starts at 6am when I wake to the sound of the waves and birds singing and I meditate for 20 minutes on the balcony overlooking the sea to set my mind in a state of Zen for the day ahead. Actually, my morning starts the complete opposite. I usually get up at 6.30am after snoozing the alarm one time too many and rush around in a mild panic trying to find bits of P.E kit, missing homework and one lost trainer as well as trying to tame my Hagrid hair into something half presentable and catching the 7.30am train into the city from Essex. I try to be at my desk by 8.30ish dependant on the temptation of a breakfast from Greggs, so usually 8.45am. My days are always busy and involve a huge amount of collaboration with the rest of the team with many impromptu meetings internally to discuss the recurring issues that sometimes occur on projects. How to fit all the plant required for a building into the plant rooms? How to distribute the services around the building? Where to put the generator? etc. All of the above invariably require a compromise between the client’s obvious desire to maximise useable lettable space and an engineer’s desire to provide equipment that is well ventilated, accessible and maintainable. And generators are an issue on every project – they are large, smelly, noisy and unsightly and roofs are increasingly used for terraces and basement for cycle storage, so where do they go? Every project is unique and I often have to rely on the help of the rest of the team especially our 3D modellers in the CAD department (The unsung heroes who often save the day) to prove the space I am requesting for the plant is required. The most enjoyable aspect of my job is lighting design as my creative side gets a free rein – but the compromise here is usually the budget and not the space. I’m embarrassed to confess but the lighting in my own flat is horrendous! – I’m sure my own dreaded low voltage halogen downlighters would never pass part L regulations now. To be totally honest, I didn’t choose this career all those years ago, it chose me. And I would choose this career again every time. I didn’t have a clue as to what I wanted to do whilst studying for my A-levels and was lucky to help my uncle with his drawing work for some cash and naturally asked questions ( I’ve always been nosey) and it went from there. I was the only female on my course and sadly this is something we still need to change, we need more females studying engineering. To think that all those years my ago my career advisor told me I was much more suited to becoming a funeral director! To me, seeing a building brought back to life, or see a muddy hole in the ground become a place to work that is well designed, comfortable and flexible as well as being energy efficient gives me a real sense of pride and achievement. I get to work on the best buildings in the best city with the best design teams and often with the biggest challenges! But this is what makes engineering so exciting! I try not to work on the journey homes, that’s my only downtime with two teenagers and the inevitable enjoyable chaos that brings, so I use that time to indulge in my guilty pleasure of watching trashy reality TV. Evenings are spent with the family refereeing between teenage boys, trying to get into the bathroom and trying to avoid the biscuit jar, I win about 50% of the time.